Mental illness affects one in four employees in the nation’s workforce. 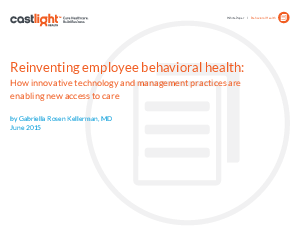 Absenteeism and presenteeism due to mental health disorders and substance abuse cost employers billions of dollars in lost productivity annually. The direct costs to treat these disorders and comorbid medical conditions are equally massive. Some 68% of adults with mental health disorders have at least one other medical condition such as cardiovascular disease, pulmonary disease, or diabetes, and comorbidity with a mental health condition increases medical spend by up to 400%.